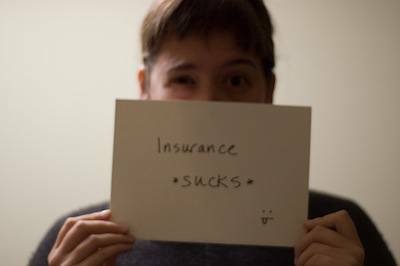 Most Americans spend more than ten percent of their income on insurance. If you are among them–or if you simply want to lower the insurance premiums for auto, home, health, or even life insurance–you may want to try one or more of the following rate-cutting strategies. Comparison Shop. Staying with the same insurance provider or agent for a long period of time can have its benefits, but it is always smart to shop around. Every insurance provider offers different levels of coverage as well as varying premiums. It isn’t unusual to see price differences in the hundreds of dollars. Getting quotes from multiple companies or an agent who works with multiple insurers can help you get the coverage you need for the best price possible. Increase Your Deductible. Raising your deductible is one of the easiest and surest ways to save money on insurance rates. If your current deductible is low–$100 to $200–you could save as much as 30 percent by raising the deductible to $1,000. Just make sure you keep at least the amount of the deductible on hand and readily available in case you need it. Reduce Your Coverage. Reducing your coverage is another good way to lower your insurance rates. You may be carrying more home insurance, (you really only need to insure to rebuild as your land is probably not at risk), more auto coverage (your yearly premium should be less than you could get back on a claim), or more life insurance than you really need. Less coverage means that you will get less back when you make a claim, but it will also lead to significantly lower insurance rates. Avoid Duplicate Coverage. Many people have more insurance coverage than they need because they have duplicate coverage. For example, if you have good health insurance, you may not need to carry additional health insurance coverage on your auto policy. The same is true if you have an exorbitant life insurance policy in addition to coverage on a mortgage loan, car loan, and other debts that you may leave behind for your family. Evaluate your needs carefully and make sure you are not covered for the same thing twice. Combine Policies. Most insurance providers offer discounts to customers who insure two vehicles under the same policy. Customers who insure their home and their auto under the same policy are usually eligible for additional discounts as well. Ask About Discounts. Discounts are available for a range of things. You may be able to get a discount based on your age, occupation, or lifestyle. Specific discounts to ask for include a senior discount, good student discount, safe driver discount, low-risk discount, and loyalty or renewal discount. Your insurance provider or agent may also be willing to provide you with a full list of potential discounts as well as information on how you can qualify. Ask About Group Insurance. Groups, associations, or auto clubs that you are already a member of may offer discounts or group rates on various types of insurance coverage. You may also be able to receive group coverage from your employer. You can ask your insurance provider about current discounts. You may also be able to learn more by consulting your employee handbook or speaking with a group representative. Lower Your Risk. Every insurance provider will analyze the risk of insuring you before providing a rate quote. You may be able to lower your rate considerably by lowering your risk. This might involve making your home more disaster proof, buying a car with safety features, or agreeing to participate in a wellness program. Talk to your insurance provider about the different things you can do to make yourself more insurable. Improve Your Credit Rating. Your credit rating can affect both your auto and home insurance rates. If you improve your score, you might be able to lower your premium. You may also be able to achieve the same result by purchasing insurance through a provider that does not perform credit checks on new customers. Quit Smoking. Tobacco use can increase the rates you pay on all four major types of insurance coverage: home, auto, health, and life. Quit smoking and you may see significant drops in your premiums. Great tips! I recently got retiree credit on my home insurance policy because of my retirement. It always pays to keep your insurance agent updated about any change in your situation. One of the easiest ways to lower insurance rates, whether it be car, health, or life insurance, is to review the benefits you already receive from your employer. Many employees don’t realize that they already receive term life insurance from their employer at a discounted rate, and should consider that policy before going out and buying a private policy. In addition, many employers, credit unions, and groups offer discount auto and health insurance. Any time you are buying insurance in a group, rates will always be cheaper and more affordable.